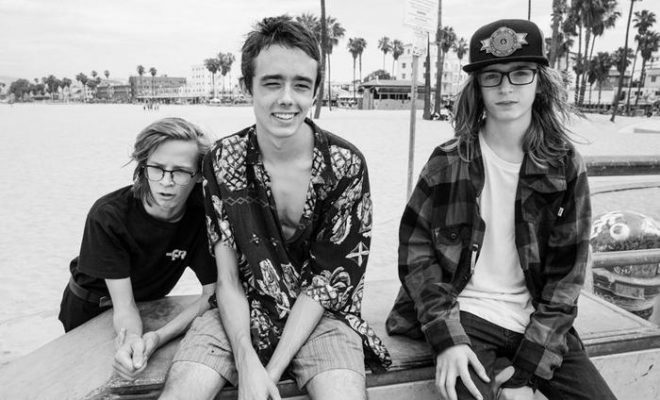 Teen rock trio Residual Kid released a two-song digital bundle, The Volcom Sessions which includes two brand new songs, “Lightspeed” and “Tidal Wave.” The tracks were recorded live at the Volcom’s headquarters in Costa Mesa, CA. Grab their EP on iTunes and Spotify today as you don’t want to miss out on what could be rock and roll’s next phenomenon! ← Previous Story Bruno Mars is Back! Next Story → Watch The Chainsmokers Halsey and Travis Barker Perform Closer at the AMAs!